Most people have a limited understanding of food nutrition facts. Because of our reductionist view of food, our understanding of food is very limited and unfortunately a lot of misinformation circulates because of this. What do I mean by reductionist view of food? That is about the extent of food nutrition facts most people have. What else is in an orange? Do you even know if an orange contains calcium? protein? zinc? What other nutrients are in an orange? What about meat? Does it have vitamin C? Folate? Fiber? Is it high in nutrition, or is it just a source of hard to digest protein? Milk, is it really a good source of calcium? What other nutrients does it contain? Do some of the nutrients bind with others to prevent absorption? This reductionist view is about the extent of food nutrition facts most dieticians have as well. This is frightening but unfortunately it is reality. Is it really true that food nutrition is that simple? NO!!! Protein is not as simple as merely meat consumption. The truth about protein: Any combination of plant based foods consumed that meets your calorie needs will provide more than enough protein! When learning food nutrition facts, you need to look at the totality of the food, not just one nutrient. Milk is my favorite myth! 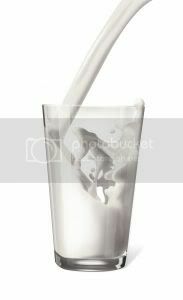 Milk is actually a low nutrient food, it contains a lot of calcium that is not utilized well. "The concerning aspect of high protein consumption is that animal protein is high in sulfur containing amino acids, which breakdown into sulfuric acid in the body and the bones provide the alkaline minerals to buffer this acid, which over a long period of time will eventually lead to osteoporosis. Even the average consumption of protein in the U.S. is sufficient enough to cause calcium loss from the bones and lead to osteoporosis, whereas in other countries with lower protein consumption overall osteoporosis is rare." Dairy products have been touted for their calcium content, when in reality they do not protect against osteoporosis and in fact contribute to it. 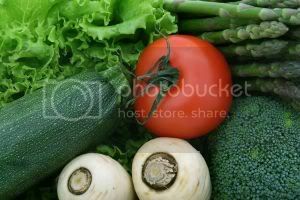 We cannot evaluate a food based on one nutrient and then determine that it is a good food source for that nutrient. Cow's milk does not contain iron, the high calcium content in milk binds with iron and prevents its absorption, so a typical American meal containing cheese and meat will not protect against iron deficiency. Can you Get enough Calcium without Milk? The high calcium in milk also binds with iron and can cause low iron levels if consumed in high amounts. This makes a delicious salad with a balsamic vinaigrette dressing, some pecans and other fresh veggies! Spinach has nearly as much Calcium as Milk! 1 c. of sauteed greens every day will provide you with FAR superior nutrition than any other food available! The nutrient values speak for themselves. The reality is, most food nutrition facts taught in public schools, including college nutrition classes are based on financial interests and agricultural assets rather than truth! Greens provide lower calories, meaning you can actually eat MORE and still lose weight! Not only can you eat more, but calorie for calorie you receive FAR superior nutrition in vegetables, especially greens than any other food. What if everything you thought you knew about Food Nutrition Facts was false? Wow, that sounds great, now we don't have to try and lower our saturated fat intake, bring on the butter, cheese, sour cream and steak....right? Well, not so fast. This sounds great, however, the first red flag is..... this study was supported and funded by the National Dairy Council. Well it means that there is a HUGE conflict of interest here. A council whose financial interests are in selling high saturated fat content foods such as butter, cheese and cream funds a study to prove saturated fat doesn't contribute to heart disease? Americans LOVE To hear good news about their bad habits, and because the financial backing of studies is rarely ever known to the public, the results of studies like this are reported all over the media, and people believe that these research studies are finding truth, when in reality they on occasion are used merely as advertising tactics. This is one of the biggest sources of misunderstanding about food nutrition facts. A popular morning show host shows just how uneducated Americans are about food nutrition facts. We no longer have t.v. in our home, but a few years ago I watched a morning show because a woman in the healthy nutrition community was on this particular show. She was demonstrating a cucumber cooler drink and a few other simple, healthy recipes. The morning show host said, "I didn't think cucumbers had any nutritional value., aren't they just mostly water?" The truth? 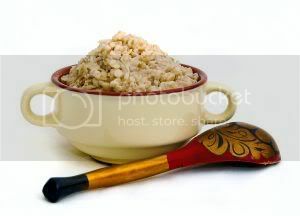 Calorie for calorie, they are the MOST nutritious foods! So Just What Nutrients Does a Cucumber Have? and equals milk in omega 3's! 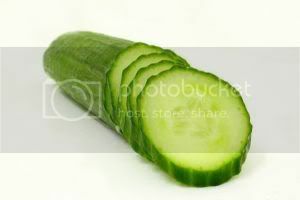 Cucumbers DO contain nutritional value.....add 2 Tb. hummus and you have a FAR superior snack to 1 cup of milk! •	Food Nutrition Fact #1: Fruits contain protein, calcium, omega 3's, B vitamins, folate, iron, potassium, zinc and a lot of fiber and antioxidants! •	Food Nutrition Fact #2: Vegetables are HIGH in protein, calcium, iron, zinc, folate, B vitamins and very high in omega 3 fatty acids as well as protective antioxidants. •	Food Nutrition Fact #3: Dairy products are low nutrient foods that contain SUGARS or lactose, promote excess mucus production leading to complications from coughs and colds, bind with iron and prevent iron absorption and leech minerals from the bones. •	Food Nutrition Fact #4: Meat has no fiber, very little nutritional value over all and is high in saturated fat, cholesterol, estrogens and other naturally occuring hormones and does not have any health protective benefits. Real food nutrition fact, the foundation of a healthy diet should be based on whole intact grains, legumes, fruits and vegetables with very little or no animal based foods depending on your personal preference. "Clinical studies also suggest that antioxidants possess the ability to prevent some cholesterol-related and oxidative stress-induced diseases, such as cardiovascular disease, obesity, diabetes, and some cancers. In this article, the latest research results of antioxidants in common grains, vegetables, and fruits and their potential capability in reducing the risk of epidemiological disease are summarized." Foods that are truly healthy for you are foods that have consistently been shown to provide a myriad of health benefits, superior nutrition and do not contribute to ANY disease. These foods should comprise the majority of your diet. The next category of foods have also been consistently shown to prevent disease, they are slightly lower in micronutrients but provide excellent macronutrients. These foods can contribute to some health problems in certain individuals, celiac disease, allergies and other conditions. The main food nutrition fact to remember, the more whole, unprocessed plant foods you consume, the healthier and more fit you will be!